Geodon medicine – effective or fashionable? Home/Get Treatment/Medications/Geodon medicine – effective or fashionable? Geodon medicine is one of the atypical anti-psychotics originally developed to treat schizophrenia. This is a serious psychiatric condition characterized by delusions, hallucinations, paranoia, and an inability to function appropriately in social or interpersonal relationships. In the US, the FDA has approved Geodon for use in treating ACUTE bipolar mania and mixed states. 2. EXTREME sedation (another reason so many folks can’t take it). It is also known to promote insulin resistance and cause diabetes in some patients. Geodon is another so-called “bipolar med” that is NOT a mood stabilizer. It is ONLY useful for treating ACUTE episodes of bipolar mania. 3. Acute bipolar mixed states. Geodon was created by Pfizer, a major US big pharma company. It is also available in generic form as ziprasidone. As with many bipolar medications, it is not yet known exactly how Geodon medication works – only that it interacts with the neurotransmitters most often implicated in mood disorder. That is, dopamine, serotonin and norepinephrine. Populations who MUST NOT use Geodon are elderly patients with dementia, and people with a history of heart conditions. 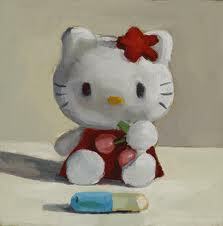 Also, for those who CAN tolerate the side effects, it is only effective as a SHORT TERM TREATMENT when manic. Pfizer persist in trying to promote Geodon medicine as a long term treatment, i.e. a maintenance treatment or mood stabilizer that someone with bipolar disorder can use over an extended period of time to prevent relapses and mood swings. This is simply not true – Geodon ONLY WORKS as a longer term treatment if used with a proven maintenance mood stabilizer such as lithium. It seems that Geodon is of limited utility in treating bipolar. Keep in mind that it is never suggested by experts as a first line treatment, unless the patient is in the grip of acute mania. One thing to consider is that many people are misdiagnosed as having bipolar disorder. It may be that Geodon is effective in treating whatever other condition misdiagnosed patients may have instead. 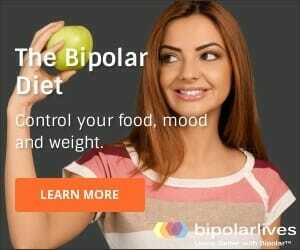 Even on the Pfizer website dedicated to promoting Geodon for treating bipolar disorder, there is only one single point made in the drug’s favor – that The American Psychiatric Association has stated that GEODON has a low risk of weight gain! Despite being less associated with weight gain, there are other serious side effects to consider. This is James Phelps opinion. I’ve been on Geodon for 15 years and it has saved my life. I’ve been a medication guinea pig but empowered myself on the effects of each drug I take and have worked WITH my psychiatrist for treatment options, not just been given a pill. Empower yourself by educating yourself on your disease!